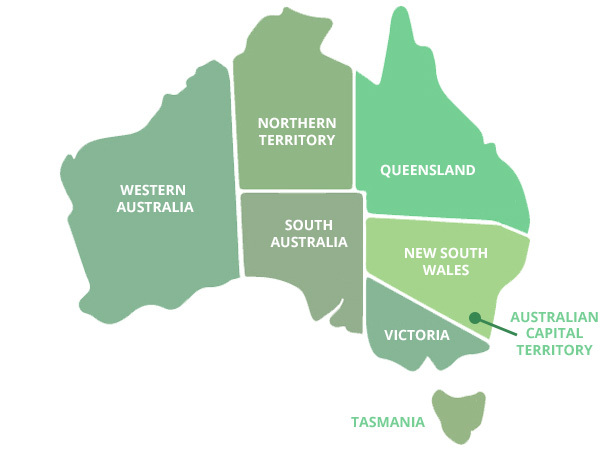 • Proudly 100% Australian Made and Owned. • Exclusive range of 25 Colour Options. • Manufactured from high tensile steel (0.35mm - thickest on the market). At EasyShed, we use precision, state-of-the-art roll-forming technology, for an easy-to-assemble product that will withstand the harsh extremes of our Australian climate. 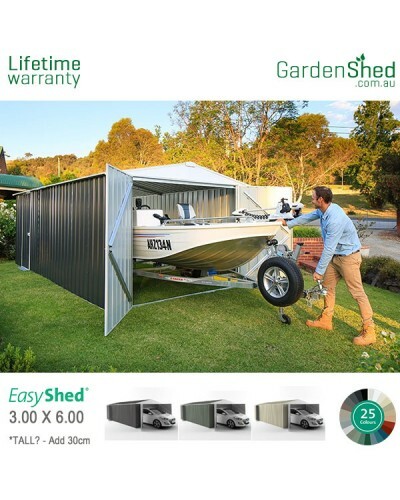 The EasyShed range has been Australian made and owned for more than 30 years. 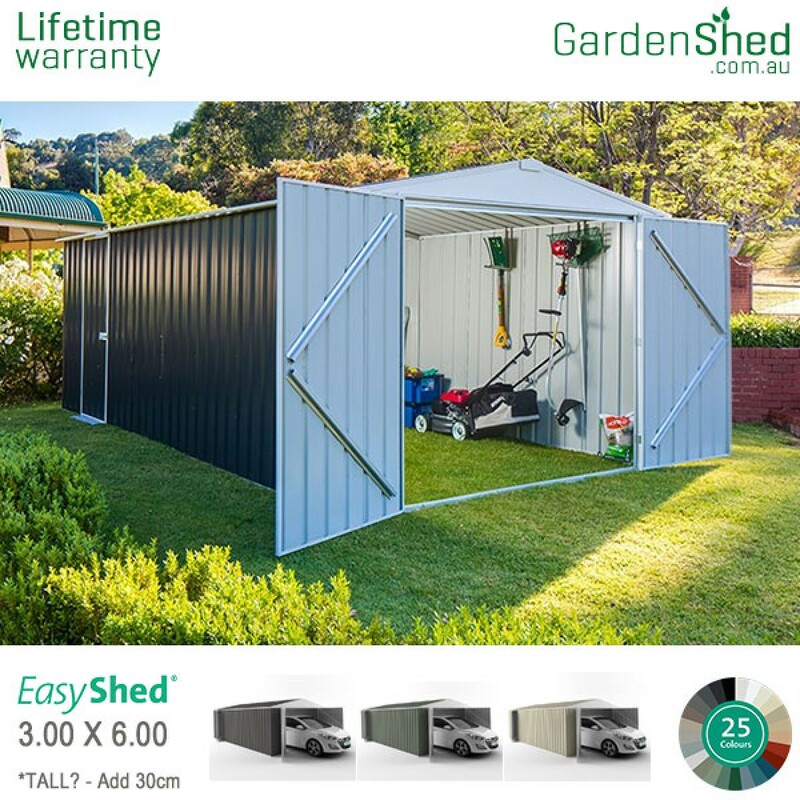 When you purchase an EasyShed, you’re not just buying a superior product, you’re supporting Australian manufacturing, logistics and more than 400 of our reseller partners nationwide. 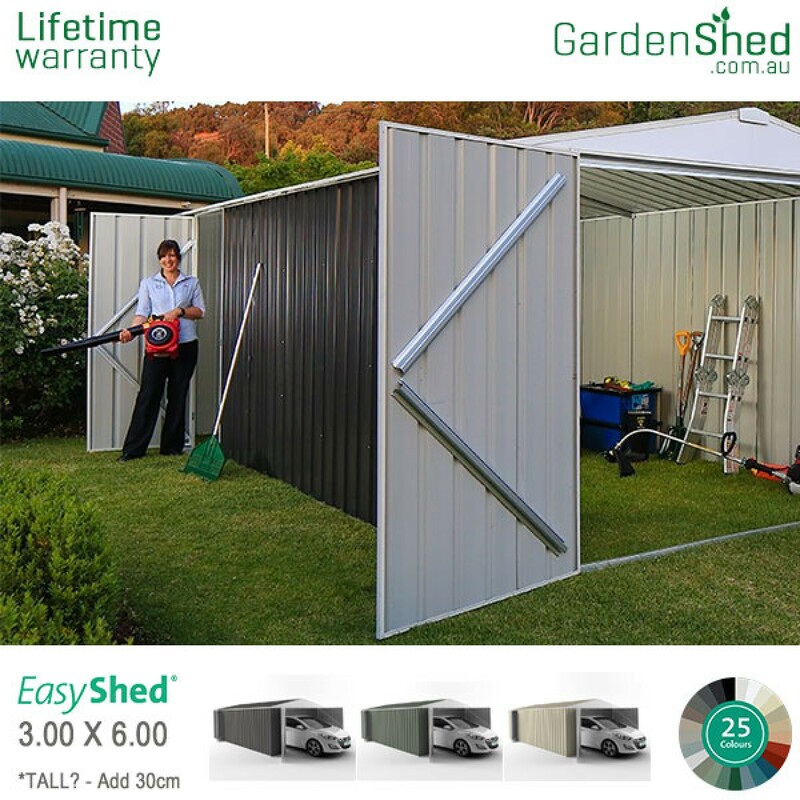 The steel has a zinc-alloy treatment which offers extra protection, coated to the base steel. 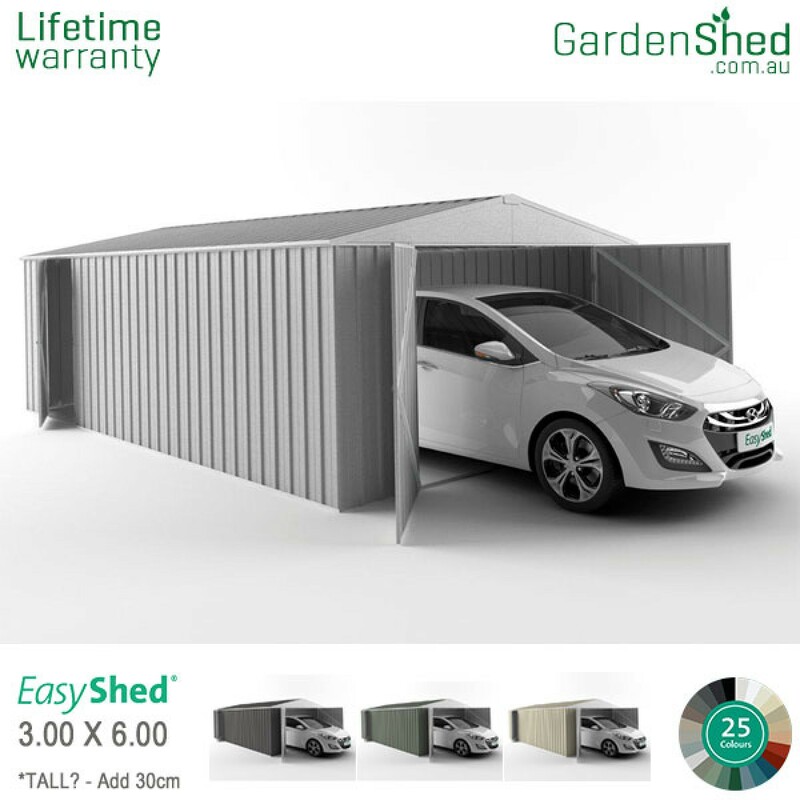 For pre-painted models we rely on Colorbond, so you can be assured your finish will resist chipping, peeling and cracking. 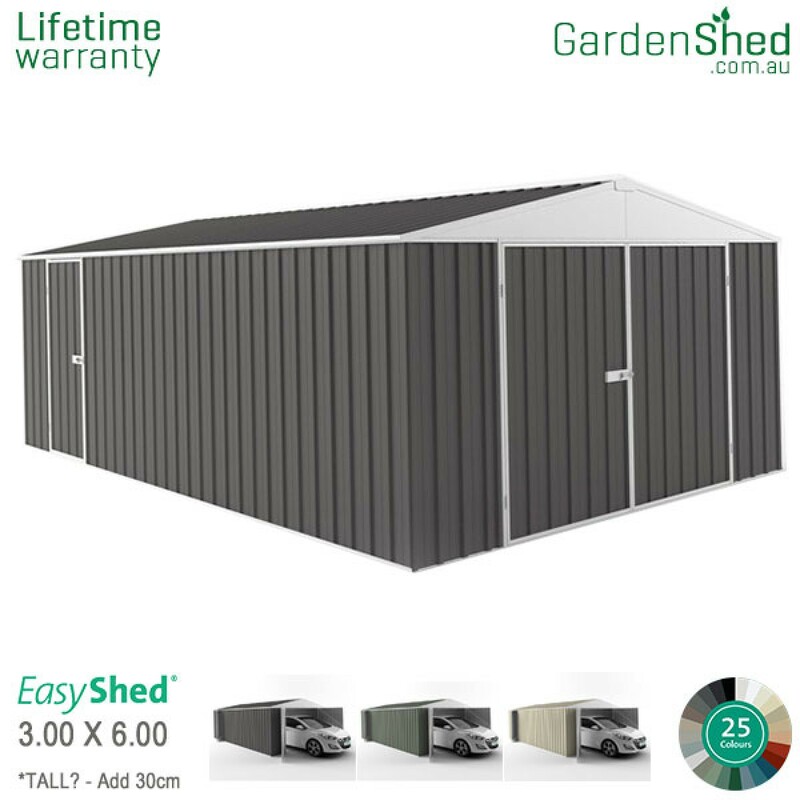 Non-combustible, weather-resistant and secure, your EasyShed will perform as perfectly as any high-performance zinc aluminium cladding used in domestic construction. 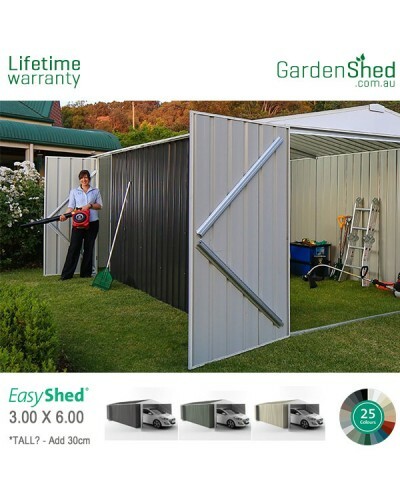 Our high-tensile 0.35mm Bluescope steel is the thickest sheeting material used in the Australian garden shed market. Our products are fabricated from steel coils, which we then process through modern roll-forming machines. 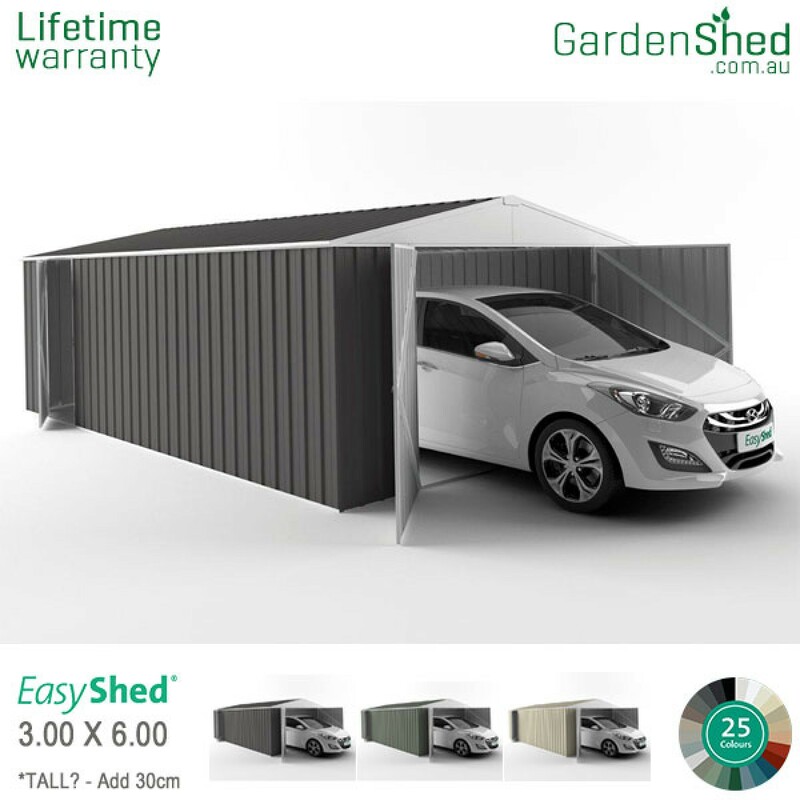 The end result is a ridged, high-performance steel sheet with a structural strength that is second to none in the industry. 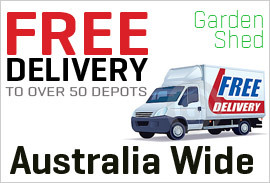 Deliveries are normally within 7-14 business days depending on your location. 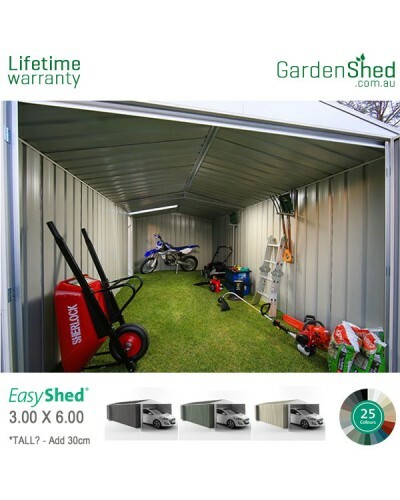 We manufacture Easy Sheds from Albury and hence deliveries to WA can take a few days longer than the east coast. 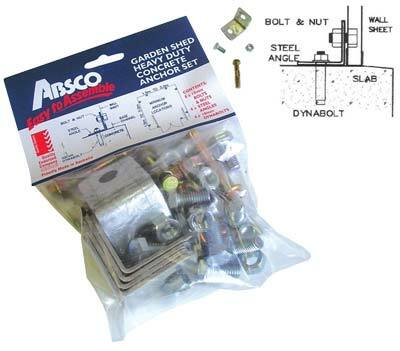 Each of the concrete anchors in the pack comprises 3 components. (1) A galvanised "L" shaped steel angle bracket, (2) A nut & bolt to secure bracket to the wall, and (3) A dyna bolt to fix to the concrete slab. 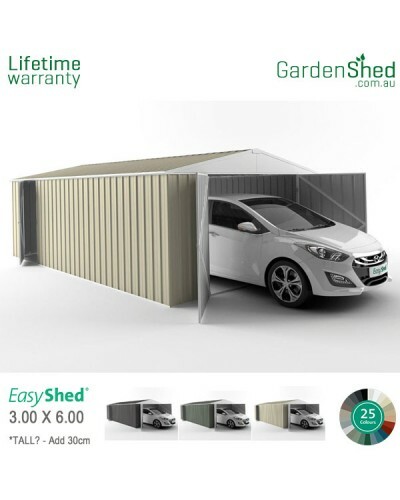 EasyShed Skylights can be added to most sheds and positioned as required at the time of installation. We recommend not having more than one skylight per side of the roof for structural purposes. 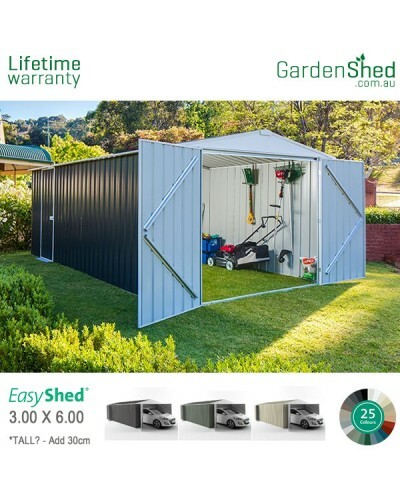 The skylight is made in the same profile as the shed roof. The Skylight does not need the sheets cut (you simply overlap the roofing sheet). You can cut the skylight using normal scissors if you wish to change the size of it. 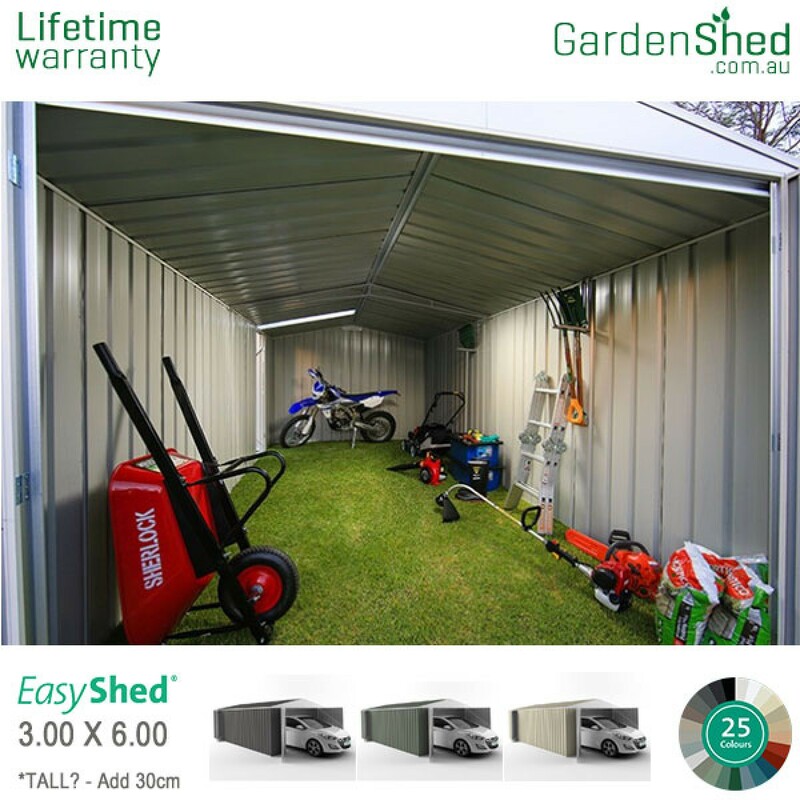 EasyShed Lockable Louvre windows are available with most sheds. It allows access for natural light & ventilation. The window sits in the space on top of the cut down wall sheet, at the top of the wall panel. It is recommended that window be fitted in the wall panels of the shed that have a roof section overhanging them. 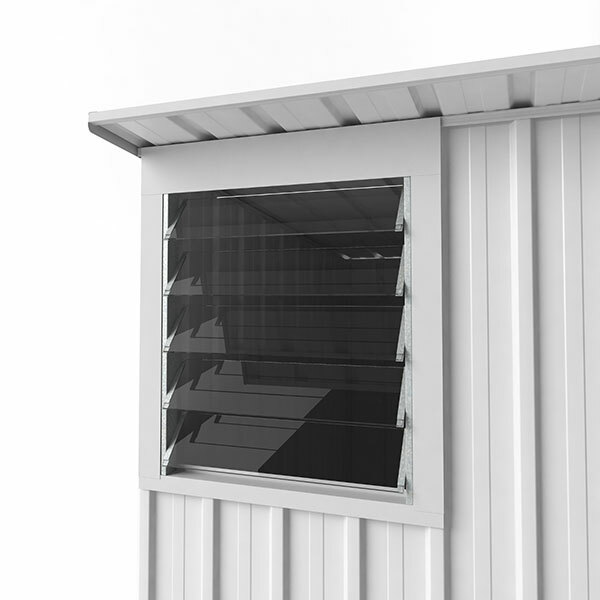 The louvre window is designed to fit above a wall sheet of 780mm size. It will not fit above slightly narrower sheet widths of 710mm size. If Gable end required, client will need to cut sheet and let us know, so we dont cut a sheet that sits under the roof overhang. 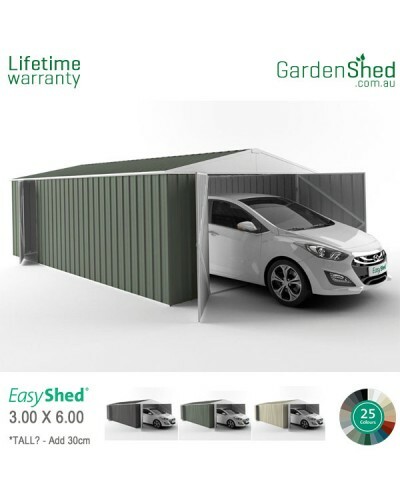 Also the smaller sheds may require the window be placed on the back of the shed. The EasyShed range has 25 Colorbond Colours to select from. 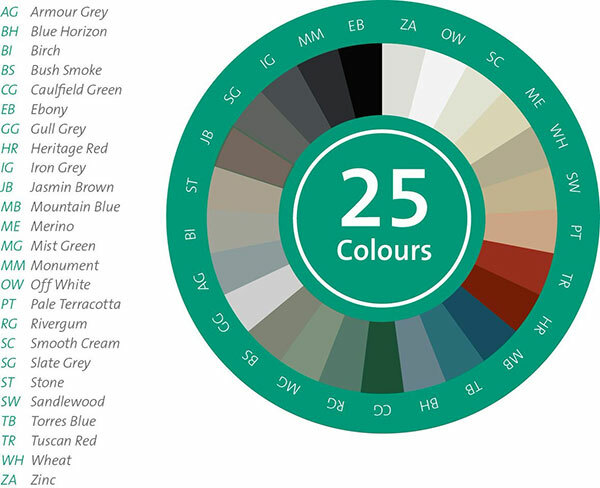 Grey, Green, Cream and Zinc are our standard colours. 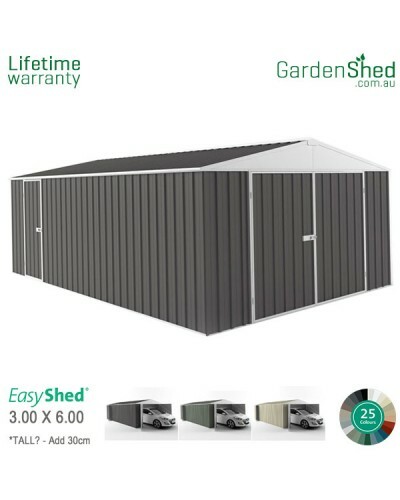 The rest are our premium colours that other shed companies do not offer. So there may be an extra fee especially if the standard colour is on special. If the Premium colours are not available in the accessories list, please request a quote for the additional price. ** Please note that Tuscan Red is no longer available. 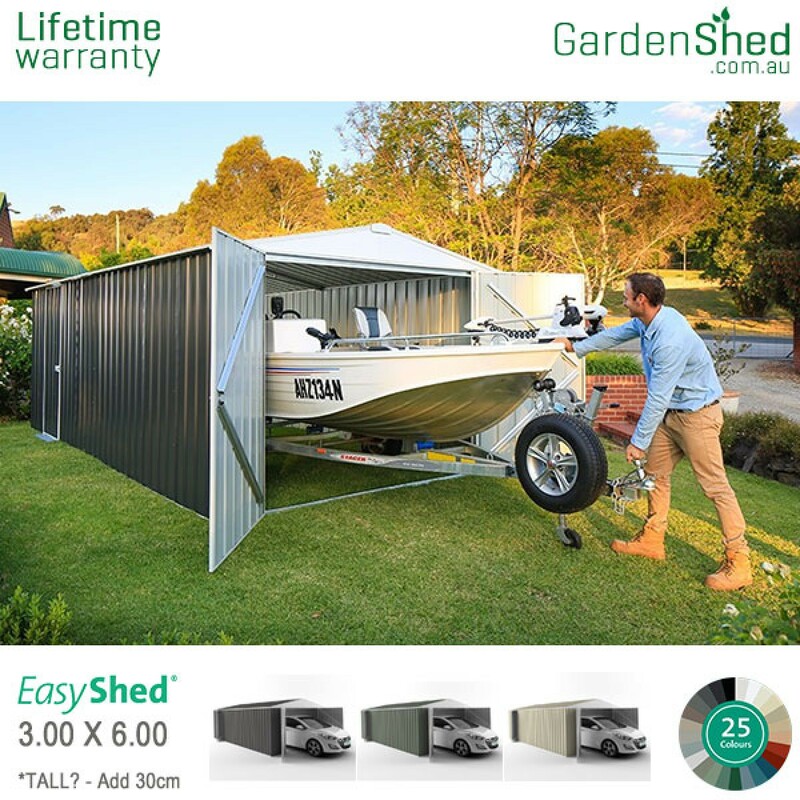 The EasyShed range has Single and Double sliding doors to select from. 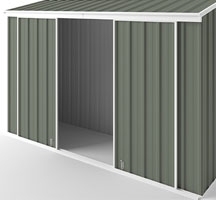 We can offer sliding doors to most model sheds except for Off The Wall, Aviary, Storm and Garage.